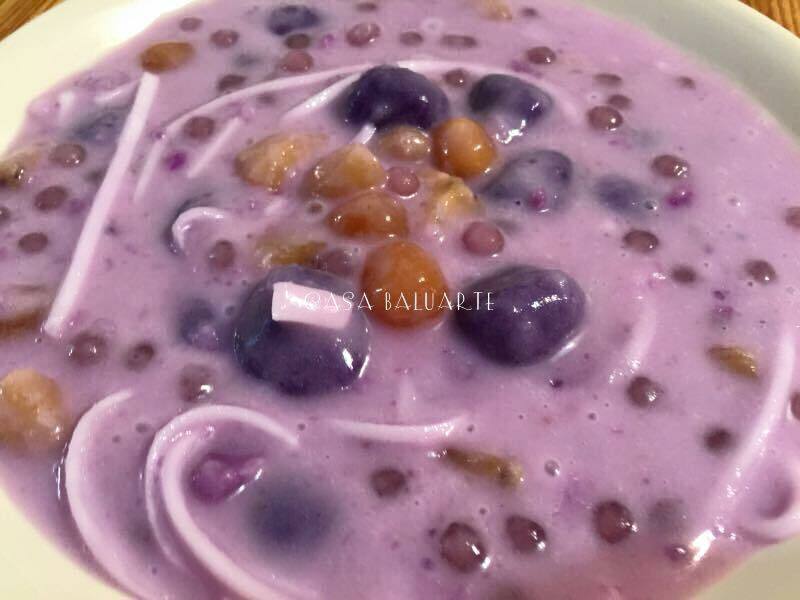 Try this Ginataang Ube Bilo-Bilo, so good eaten hot or cold. Place water in a large cooking pot and bring to a boil. Add sweet potatoes and purple yam. Simmer in medium low heat for 5 minutes. 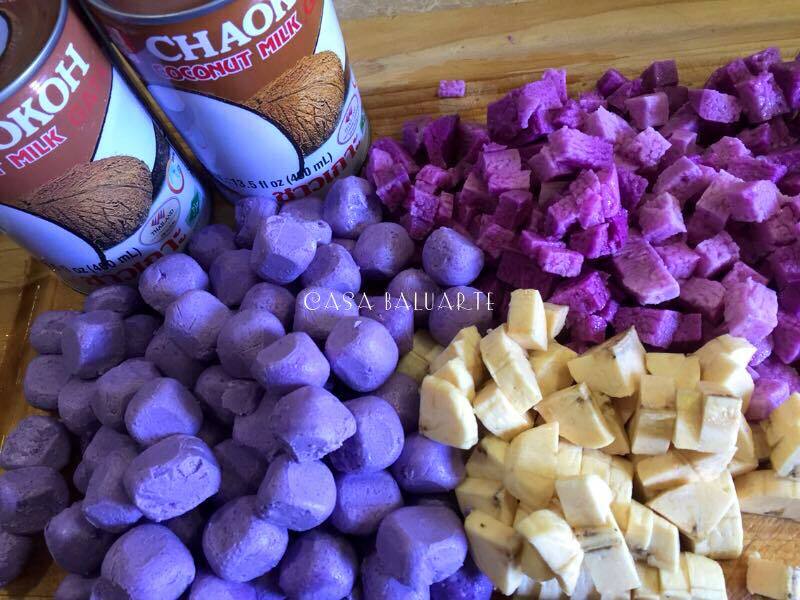 Pour in coconut milk, sugar and bilo-bilo. Gently stir and simmer for 3 minutes. Add plantain banana and young coconut strips. Gently stir and simmer for 2 more minutes. 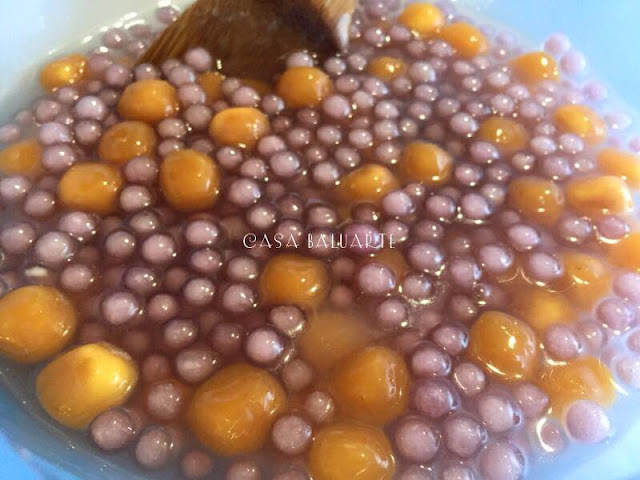 Add the tapioca pearl and reduce heat to low. Simmer for a minute or 2. Remove pot from the heat, transfer in a serving dish and serve.